This diverse economic base is ably supported by the Chennai port, which is the second largest in India and a key facilitator for import-export of goods. The presence of a vibrant economy creates ample job opportunities and leads to massive real estate development in the city. Chennai’s expansion across various regions was ably supported by the growth of physical infrastructure with major initiatives such as Outer Ring Road (ORR), Inner Ring Road (IRR), East Coast Road (ECR) and the development of MRTS. The Government’s focus on infrastructure development is evident with major projects such as Chennai-Bengaluru Industrial Corridor, ORR Phase II, metro and monorail corridors being planned to improve connectivity and accessibility to various parts of the city. With improved connectivity, any region’s real estate development obviously picks up the pace. Chennai is restricted only on one side by the Bay of Bengal whilst the city is free for development on all other sides. This provides a latent advantage for the widespread development of new zones and in-turn drives the real estate growth. Chennai’s real estate market is largely end-user driven and as a result, there is minimal speculation. Whilst this results in a slow and steady growth, the fundamentals remain intact and the future growth potential of the city is undisturbed. Chennai’s real estate market has transformed from dominance of local players a few years ago to entry of large reputed developers such as Godrej Properties, Purvankara, Mahindra Lifespaces, Pacifica, PBEL, etc. This truly demonstrates the city’s potential as large developers are expanding their portfolio in Chennai. All these factors make Chennai an attractive city to invest in – but, as is always the case, not all its regions are created equal when it comes to investment potential. Let us examine some of Chennai’s hottest real estate investment markets. The IT/ITeS and automobile sectors are the major growth drivers of real estate in Chennai. 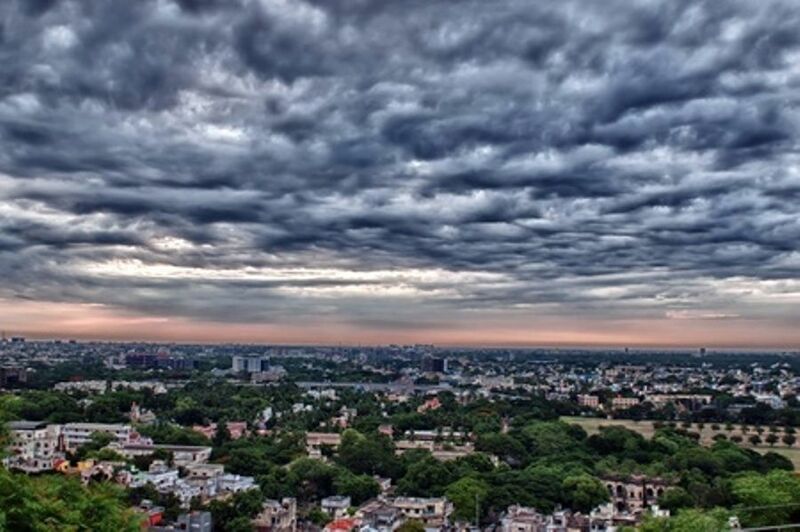 South Chennai and West Chennai dominate the residential developments in the city. Ambattur and Oragadam in West Chennai and Old Mahabalipuram Road, Gudavanchery and Pallikaranai in South Chennai are amongst the top destinations for residential property developments and investment. With around 3,000 units launched since 2013, the micro market is witnessing a significant traction in INR 40-80 lakh budget segment. Average property prices range between INR 4,000-4,400/sft. Around 4,000 units hit the residential market during the past 5 years and the current quoted average capital values are around INR 3,300-3,600/sft. New launches were predominantly in the mid-segment. The 45 km Old Mahabalipuram Road (OMR) stretch, termed as the IT corridor, is witnessing heightened real estate activity in the INR 40-80 Lakh price bracket due to the establishment of various IT business parks and dedicated SEZs in this region. OMR Road continues to thrive among home buyer’s attention with around 35,000 units launched over the past 5 years. The average capital values of OMR are between INR 3,500-5,900/sft. Gudavanchery is one of the promising affordable residential hotspots of Chennai. Presence of IT parks and industrial parks coupled with excellent connectivity and well-established infrastructure drives the residential growth. 4,500 residential units have been launched since 2013 and the current prices are around INR 3,200-3,600/sft. Pallikaranai lies very close to the IT-ITeS and industrial clusters of the city. The merging of the micro market under the City Corporation of Chennai offers good scope for residential developments and infrastructure facilities. Around 3,300 units were launched since 2013 and the current property prices range between INR 4,500-4,900/sft. The city’s infrastructure is also gearing up admirably to cater to the increasing inward migrating population attracted to Chennai for its education and employment opportunities. All in all, the city is poised for significant growth in the future, which will benefit real estate investors focused on vibrant Chennai’s residential property market.